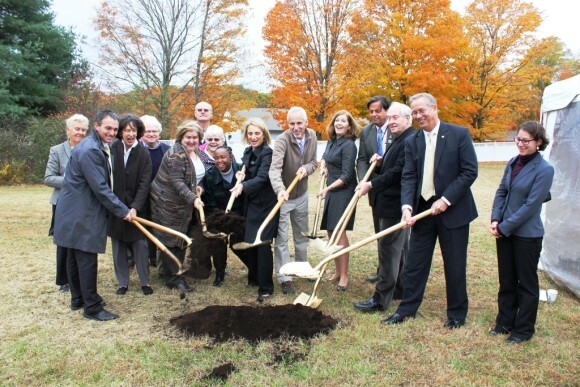 ESSEX — Essex Place Centerbrook, LLC held a groundbreaking for a new 22-unit building for affordable senior housing in Centerbrook, CT, a village of the Town of Essex. In attendance for the ceremony were representatives from the state legislature, the Governor’s office, and the U.S. Congress as well as town officials, funders of the project, and members of the Development Team. Essex Place Centerbrook is a partnership between Essex Elderly and Affordable Housing (EEAH)and Women’s Institute for Housing and Economic Development (WIHED). Celebrating the occasion were remarks from Commissioner Klein, Department of Housing, Rep. Philip Miller, First Selectman Norm Needleman, Joanne Sullivan from the Federal Home Loan Bank, Erica Schwarz from LISC, Greg Shook, Chairman and CEO of Essex Savings Bank, and from WIHED Betsy Crum, Exec. Director, and Loni Willey, Chief Operating Officer. The groundbreaking celebration culminates over five years of planning. The idea for Essex Place Centerbrook was to provide additional units for Essex Court, the current senior affordable housing residence, that had a waiting list larger than available places . In 2012, the development process began. The Development Team includes Quisenberry & Arcari, Architects, W.H. Cole, To Design, Doane Collins, A. Secondino & Sons, and Cloutier & Cassella and Hudson &Kilby, counsels. The Board of Directors of Essex Elderly and Affordable Housing are most grateful for the support of everyone who collaborated to make this project a reality. Occupancy for the new building is anticipated to be 2017. 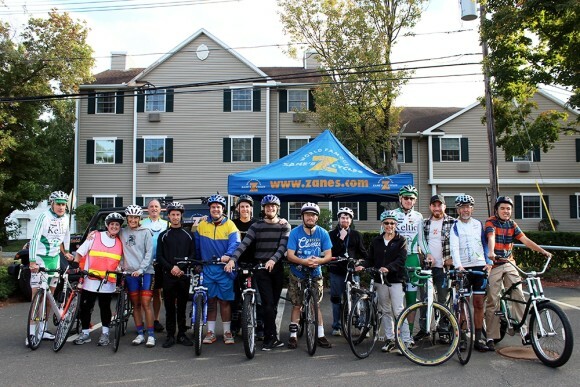 A total of 250 people of all ages and abilities made a positive impact in the lives of individuals with disabilities by riding in the 7th Annual Vista Tour de Shore cycling event and fundraiser on Oct. 18th. Together, 35 fundraising teams raised nearly $84,000 in the event, which was held at the Westbrook Elks Lodge. 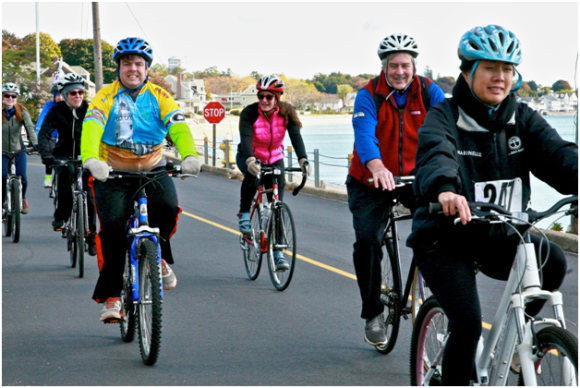 Funds raised in the Vista Tour de Shore benefit the Vista Endowment Fund, a supporting organization of Vista Vocational & Life Skills Center—an organization dedicated to assisting individuals with disabilities achieve personal success for over 25 years. Among those riding were 26 Vista students and members. Riders chose from 5, 25, 40 and 60 mile routes on scenic byways along the Connecticut shoreline, enjoying the beautiful fall foliage. The event culminated with a party at the Westbrook Elks Lodge featuring food and live music by the Hayseed Criers, a local band. There were also raffles prizes donated by Zane’s Cycles, Branford Jewelers, Thomson Bike Tours, Lyman Orchards, Stony Creek Brewery, the Vista Arts Center and Creations, a retail store and Vista social enterprise located in downtown Madison. Since its inception, the Vista Tour de Shore has raised over $315,000 for the Vista Endowment Fund. Vista would like to thank event sponsors Shore Publishing, Essex Printing, Zane’s Cycles, Wilcox Energy, The Tolland Fund, V.P Electric, Pasta Vita, Gowrie Group, WebNow1, Middlesex Hospital, Essex Savings Bank, Wells Fargo, Branford Jewelers and Thomson Bike Tours. As part of the effort to encourage revitalization and redevelopment of Mariner’s Way and the Ferry Point neighborhood, the Town of Old Saybrook applied for and received a Making Places Grant from the Connecticut Trust for Historic Preservation to study potential new uses for the Shoreline Electric Railway Powerhouse located on the Connecticut River at Ferry Point. The building was constructed between 1908 and 1910 of poured concrete, a unique process considered revolutionary at the time. 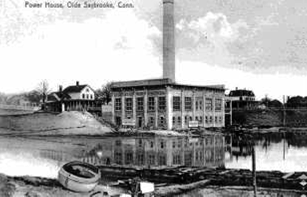 The Shoreline Electric Railway Powerhouse housed the boilers and turbines that provided the electricity for trolleys serving the transportation needs of shoreline residents between 1890 and 1930. The electric trolleys ran east to west from New Haven to New London and south to north from Old Saybrook to Chester. Preservation and revitalization of this historic industrial structure were goals identified in Ferry Point planning workshops. Revitalizing the building would preserve local history, further redevelopment goals in the Mariner’s Way Plan and create a destination in the Ferry Point neighborhood for residents and visitors. After meetings with Connecticut Trust staff members, property owners, the First Selectman, Old Saybrook Land Use staff, the Old Saybrook Historical Society and a consultant, The Town of Old Saybrook requested and received a $49,750 Making Places Grant from the Connecticut Trust for Historic Preservation. 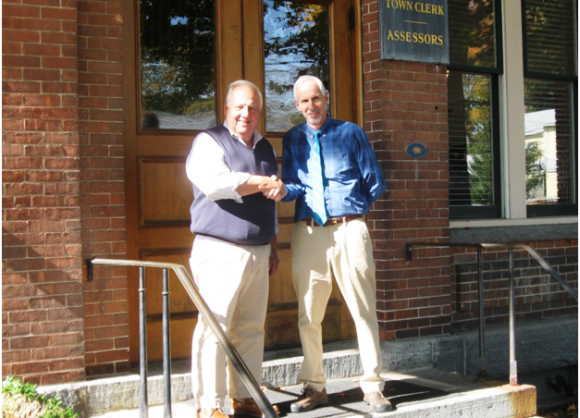 The Town of Old Saybrook hired Goman+York Property Advisors to conduct the market feasibility study. Goman+York Property Advisors have experience in strategic planning, property redevelopment and market feasibility research. Goman + York gathered input from residents and completed feasibility analyses on multiple reuse options. Their study identifies the best uses with the greatest potential for success to ensure the building can be preserved and contribute to the economic well-being and quality of life of Old Saybrook. The public is invited to a presentation of the study’s results by Peter Holland of Goman+York Property Advisors. The Connecticut Trust for Historic Preservation (CTPH) Making Places Grants (MPG) are intended to catalyze and move forward efforts to preserve, stabilize, rehabilitate and re-use historic industrial places. The MPG is a strategic planning and pre-development grant for non-profits, municipalities, private developers partnered with these entities for underutilized historic industrial buildings and sites. MPGs are cash reimbursements for pre-approved costs upon successful completion of the grant-funded project and do not require any match. Awards are $2,500 up to $50,000. Making Places Grants are administered by the Connecticut Trust for Historic Preservation, and funded by the State Historic Preservation Office of the Department of Economic and Community Development, with funds from the Community Investment Act of the State of Connecticut. located on the Connecticut River at Ferry Point. The public is invited to a presentation of the findings on November 12 at the Saybrook Point Pavilion at 4:00pm. 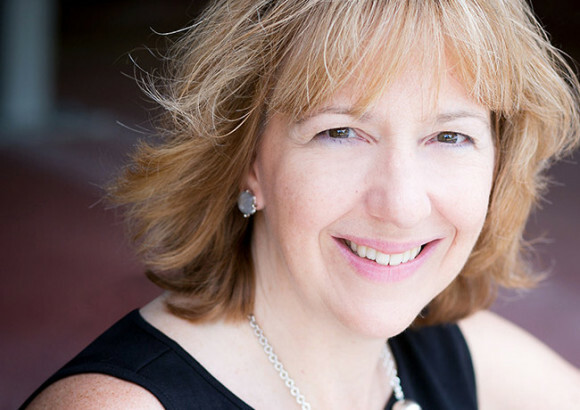 ESSEX — Essex firm Outthink has hired Tracey Jacey as Chief Financial Officer (CFO). In her role at Outthink, Jacey will lead accounting, finance and human resources. She brings over 25 years of experience in financial management, strategic planning and human resources that will support Outthink’s growth. 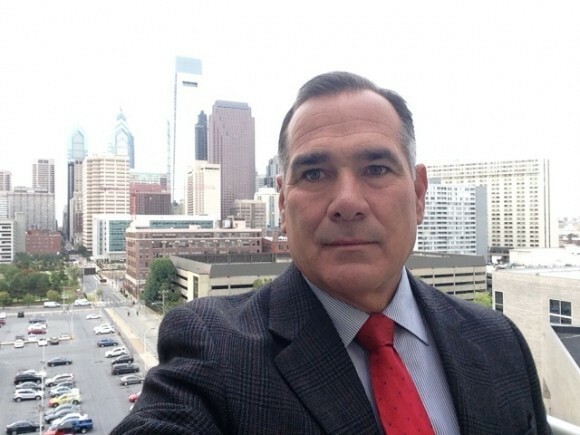 Jacey has worked for many well-known regional and international companies including, Honeywell International, Dealertrack Technologies, Sonalysts, Inc., Pratt and Whitney and ABB Combustion Engineering. “Outthink’s rapid growth requires someone with Tracey’s strong financial management skills and ability to communicate effectively,” says Outthink Principal and Co-founder John Visgilio. 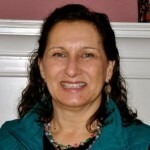 Prior to joining Outthink, Jacey was the Divisional Controller at Dealertrack Technologies, Inc. in Groton, Conn. Before that she served as the CFO, Director of Human Resources and Treasurer for INNCOM International, Inc., a Niantic-based company specializing in software-based energy management systems for global lodging, healthcare and educational markets. INNCOM was acquired by Honeywell in 2012, and Jacey led the sell-side financial transaction efforts. 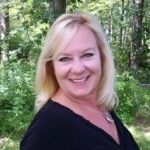 Prior to joining INNCOM, she was the Accounting and Finance Manager for Sonalysts, Inc. in Waterford, Conn. If you are a business and you don’t have a CFO, then it might be a good idea to check out something like this part time CFO to at least give you a better idea of what you should do for your business. Active in the community, Jacey serves on the Board of Trustees of the Lyme Academy College of Fine Arts in Old Lyme, Conn. She was also a founding member of the Shoreline Cohorts Investment Association and has chaired several non-profit fundraising events. She received her BS from the University of Massachusetts and her MBA from the University of Connecticut. Outthink, a different kind of full-service marketing communications firm, serves clients who want more than just image building and demand immediate results. Outthink works across 13 time zones in categories like gaming, travel and leisure, healthcare, education and financial services. Founded in 2002, Outthink invents new combinations of traditional and new media strategies to boost results in advertising and media engagement. That’s how Outthink helps clients outperform their competition. Visit outthink.com to see how they do this. 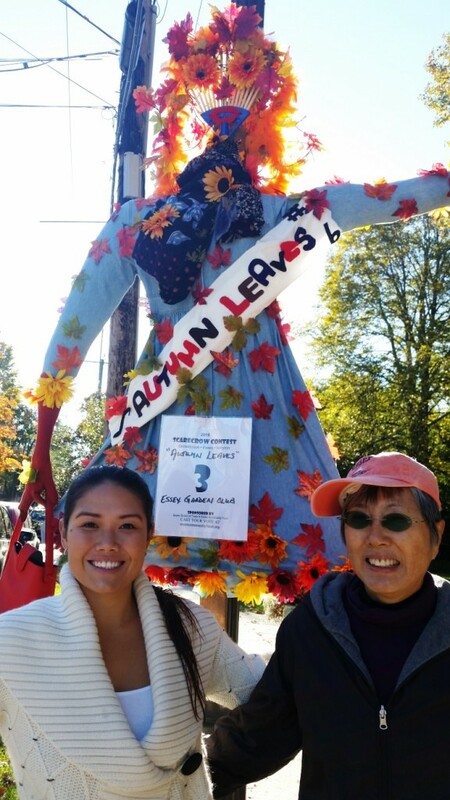 Essex Garden Club has created “Autumn Leaves” to compete in this year’s Scarecrow Competition. Pictured left to right are MyLan Sarner and Lumie Han. Also Eve Potts and Sandy French helped in the making of “Autumn Leaves”. You can see “Autumn Leaves” at the entrance to the Town Park on Main Street where the Garden Club members recently completed their fall Cleanup. 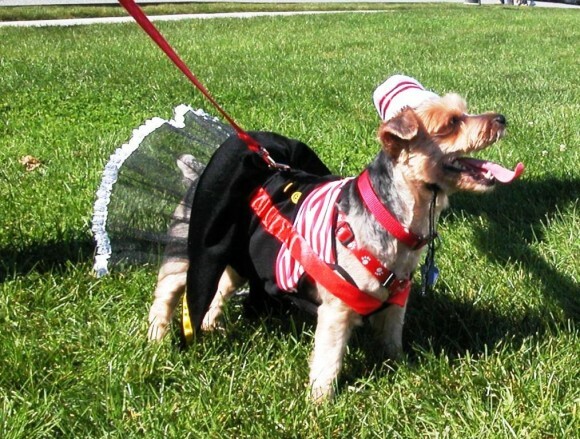 Best costume is just one of the canine competitions to be held at Dogs on the Dock at the Connecticut River Museum on Sunday, October 11. ESSEX — On Sunday, Oct. 11, the waterfront lawn of the Connecticut River Museum will once again be “going to the dogs” with the commencement of the 11th Annual “Dogs On The Dock” parade and competition. Dog owners and dog lovers alike are invited to attend rain or shine. Bring your dog and join the crowd for this uniquely Essex experience. Dog participant registration starts at 1 p.m. followed by a lawn parade at 2 p.m. and then individual canine competitions in categories such as best costume, best nautical costume, best owner look-alike, smallest dog, biggest dog, best trick and best dock jumping. Dock jumping dogs must wear a harness to participate. The event is sponsored by the Connecticut River Museum and the Essex Board of Trade. Registration is $10 per dog and $5 for each additional dog with net proceeds being donated to local animal rescue shelters. All dogs must have a 2014 license and rabies tag to participate. For more information, call 860-767-8269 or visit www.ctrivermuseum.org or www.essexct.com. Vista students and members were joined by members of the community and Vista staff on Monday, Oct. 5th, for a group bike ride. From left are: Gerard O’Shea, Elayna Paradiso, Sheridan Bauman, Charlie Steinberg, Dan Coca-Ducach, Chris Bailey, Scott Taylor, Ben Bodman, Kip Lyons, James Pittenger, Linda Rogen, John Morgan, Tom Naughton, Paul Rogen and Ellis Mayo. In preparation for the upcoming Vista Tour de Shore cycling event and fundraiser on Oct. 18th, many Vista students and members have been training alongside members of the community during weekly Monday night bicycle rides. A tradition started last year by the Gears of Change team—led by Vista employee Linda Rogen and her husband Paul, of Thompson Bike Tours— the training rides help Vista students and members get ready for the event while allowing them the opportunity to socialize with members of the community also riding in the event. The group rides departed from Vista’s Westbrook campus and consisted of a 5-mile route along the shoreline. An average of 15 people participated in the rides each week. Now in its seventh year, the Vista Tour de Shore is a major fundraiser for Vista. The event kicks off from the Westbrook Elks Lodge and offers 5, 25, 40 and 60 mile routes on scenic byways along the shoreline. Money raised by the Vista Tour de Shore benefit the Vista Endowment Fund, a supporting organization of Vista Vocational & Life Skills Center. It’s not too late to register or support a team. Visit www.vistatourdeshore.com. From left to right: Will James, Ron Rhault, Brian Kerrigan (Essex), Renny Schoonmaker, and Jon Pelley. 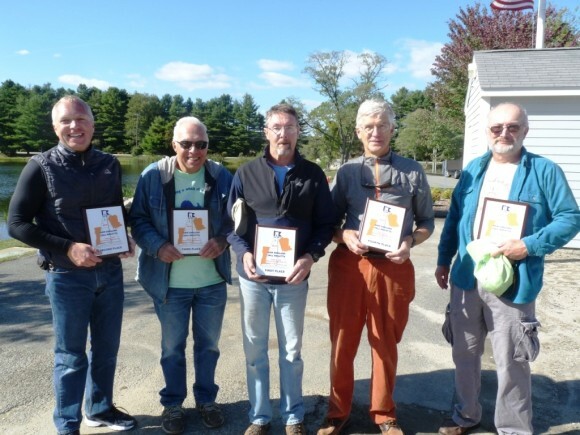 Model sailing enthusiasts for all over New England converged at Plattwood Park Pond in Deep River this past Sunday to compete for the five awards for winning this prestigious event. 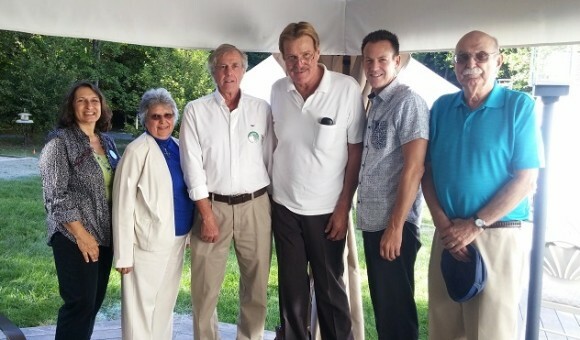 The event was hosted by the Dry Pants Model Yacht Club( DPMYC) based in Deep River and well-known in sailing circles throughout the United States. The boats that were sailed were the CR-914s , a one-design national class of racing sailboat. The designs reflect the same lines of many well-known Americas Cup boats. Their length is 36 inches. Sailing conditions were anything but normal. High winds due to the offshore location of Hurricane Joaquin forced a one-day postponement and , even then, the waters of the pond reflected 20 mph (gusts to 30) wind swirling in many directions. These conditions were extremely challenging for both skippers and their boats. A lot of close calls took place in terms of boat contact. Simply put, it was not a sailing day for those expecting or wanting “normal” sailing conditions. After 17 races, five sailors emerged as the best of the best. The overall winner was Brian Kerrigan of Essex, Ct. He was followed (in order of finish) by Will James (Marblehead, MA), Ron Rhault (Mansfield , Ct), Renny Schoonmaker (Essex, Ct) and Jon Pelly (Griswold ,Ct). Spectators were amazed these boats were able to handle the winds we had. For information on model sailing in the readership area, contact Jim Godsman@860-767-5052. The Board of the Friends of the Essex Library would like to thank all who contributed to the success of our recent book sale. This exceptionally large sale required significant work by many volunteers including those who worked during the event and those who sorted, repaired, priced and stored books in preparation for the sale, helped set-up for the sale and put everything away afterwards. We are especially grateful to the Valley Regional National Honor Society students who assisted in our set-up and clean-up efforts. Katie Amara, Hannah Halsey, Leslie Clapp, Emma Petersen, Colton Kinney, Kyra Streck, Alex Zambuni and John Tibbets, thank you! We also want to recognize the Zambuni family who for many years have helped with set-up, take down and moving overflow books to the storage shed throughout the year. We are grateful for your help. 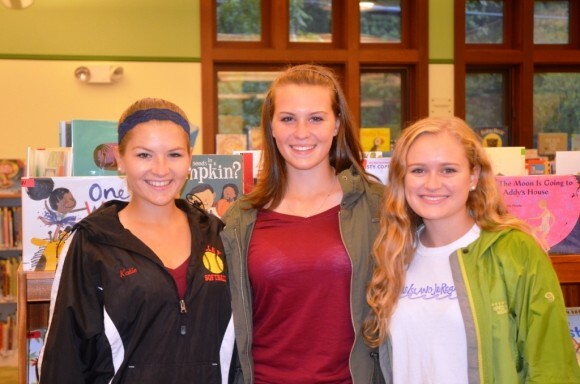 And, lastly, we thank the library staff for their support, with a special thank you to Anna Cierocki. From November 23 to December 23 we will be featuring a Holiday Sale where sale items will change daily. Please stop in to browse for pristine books that are suitable for holiday gift giving. Tri-Town Youth Services recently donated four Rifton chairs to local schools servicing children in Chester, Essex and Deep River. 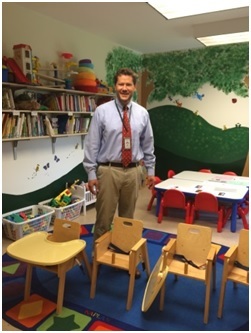 The supervisor of pupil services, Tyson Stoddard, accepted the donation and will distribute the chairs into the preschool special education classrooms. The chairs will be used in the preschools to assist children in the appropriate sitting position while participating in educational activities, tasks, and routines. Editor’s Note: Lyme, CT resident and WFSB News Director Kevin Hogan covered Pope Francis’s recent trip to the US in each of the three cities of Washington DC, New York and Philadelphia that the Pope visited. We are thrilled that Kevin has chosen to share some insights with us from those hectic days on the road and express our sincere appreciation to him on behalf of all our readers. During my 42 years as a broadcast journalist, I’ve covered many high-profile world leaders. Last week I had the distinct, exhausting pleasure to cover Pope Francis in Washington, New York City and Philadelphia. While the Holy Father was in Cuba, my Channel 3 videographer Jeff Kolan and I set the GPS in our news car for the Marriott Marquis in Washington, D.C. The Marquis was the media mecca for all 3,000 journalists cleared by the Secret Service and the Vatican to cover Pope Francis on this historic trip. Even before checking in to our hotel in Arlington, we had to obtain our credentials for the week. The planning for our coverage began months earlier when we had to apply for credentials, our managers had to coordinate with our CBS Newspath directors to ensure broadcast quality transmission and communication in all three locations and venues. Weeks before we even filled up the car and gathered gear, I was making contact with all the known and possibly unknown religious and other organizations planning to be with the Holy Father. Yes, the Archbishop from Hartford and Bishops from Bridgeport and Norwich diocese were attending, as well as the Knights of Columbus in New Haven. The Knights World Headquarters is in the Elm City. Thankfully it was up to my managers to secure hotel reservations. We knew getting around each city under extremely tight security was going to be a challenge. So getting a hotel close to the heart of the action at this stage of the game was not going to be easy. In Washington, we were put up in Arlington, Va. Not a bad drive. Some taxis were available, but most of the time we walked. Jeff and I averaged 4 to 5 miles per day in DC. Kevin Hogan stands with the waiting crowds behind him in DC. We walked with the throngs of visitors along miles of steel mesh barricades, through Airport Style electronic security sensor checkpoints with bomb sniffing dogs to stand for hours on the lawn of the Capitol. While Pope Francis was giving the first address by a Pope to a joint session of Congress, we were attempting to find Connecticut residents amongst the gathering of 50,000. We found people with relatives in Connecticut, Priests who’ve studied in Connecticut and even TV reporter Les Trent from Inside Edition. Nice guy, by the way. His photographer recognized my photographer from an earlier assignment. We found Nutmeggers in DC, who were not there necessarily to see Pope Francis but to hawk Vatican related souvenirs. Dave Thomas of New Haven brought $150,000 worth of supplies to sell. No, he didn’t have a Pope doll or the much sought after Pope bobble-head because they were made of a breakable ceramic that would be a security risk. Dumb me, on the morning of the Canonization Mass for Franciscan Junipero Serra, it didn’t dawn on me until I was in checkpoint line for security that I realized I had two of my coveted multi-tools in my LL Bean canvass shoulder bag. Lesson learned. Security was nice about it. No, I couldn’t get that back. We had the most perfect vantage point during the Mass, four stories high on a scaffolding riser with all the other world media watching down and absorbing this beautiful event. Our producers wanted us to talk to the morning team on Thursday … anchors Eric Parker of Old Lyme and Irene O’Connor. Our wake up time was 4 a.m. We were LIVE on the air at 5:10 a.m. and ready for another looooong day. Thursday was also the day we had to checkout early and hit the road after our live broadcast at 6 and head for New York. Kevin Hogan and Jeff Kolan take a brief break for a photo. Videographer Jeff Kolan grew up in southern New Jersey and he made a calculated foodie stop at his favorite hotdog stand, The Doghouse. He treated me to a real, honest-to-goodness Philadelphia Cheese steak loaded with mushrooms and onions. Funny, you see all these world leaders and you gravitate to the food memory. I savored it all. We checked into our hotel at midnight and got up at 8 a.m. Why the Doubletree in midtown doesn’t have a coffee maker in the room, I’ll never figure that one out. I needed one. We were in New York one day, packed and checked out bound for Philadelphia and the last leg of our trip. Did you see the Pope? Not in person in DC or New York because our timing was off. If you wanted to see the Holy Father in Person, you had to take a position in an area he was scheduled to be and stake it out for hours. In the Big Apple, we hooked up with Susan and Dr. Robert Staab of Old Lyme and members of Christ the King Church. The Staabs, as members of the Order of Malta — a 900-year-old organization that helps the Vatican — were invited to attend the Papal Mass Friday evening in Madison Square Garden. They were just 13 rows from the Holy Father. Me? Jeff and I were on the road for Philly hoping to get ahead of the Pope. Philadelphia was given the name “POPEACOLYPSE”. Because a more than two square mile area was walled off to vehicles, pedestrian traffic only. Our hotel was on the fringe of the fence line. On Saturday morning we woke at 5 and were out the door heading to a live location at KYW TV, the CBS affiliate. It was a short 2.5 mile walk through two security checkpoints, minus my multi-tools. As soon as we finished our live shot … and watched on TV as the Holy Father’s Aircraft landed we got word that his motorcade would drive right near the TV station. Jeff and I bolted and made feet for a fixed position right on the highway exit ramp. In a matter of minutes, a long procession of motorcycle officers roared past followed by black SUV’s and more motorcycles with the U.S. Flag and the flag of the Vatican See. Yes, it was Pope Francis. With an excited Kevin Hogan watching, Pope Francis drives by in his famous Fiat through the streets of Philadelphia. Homeland Security warned us to back off the ramp … as we did a small black FIAT carrying Pope Francis on the other side … came into view. Like a little child I raised my arm stretching my Channel 3 Microphone high into the air and waved it wildly! I saw Pope Francis raise his left arm and wave back. I snapped a selfie shot … and captured a moment in time. There were hundreds of thousands of people in Philadelphia. On Saturday we walked 13.5 miles. We walked a total of 38 miles during the whole U.S. tour. Each day we encountered wonderful people, officers, security personal from all over the U.S. Amazingly the visitors of all ages and cultures dressed as if they were going to Sunday Church. There was a calm in each city we visited. There was excitement in the air because The Pope was here. 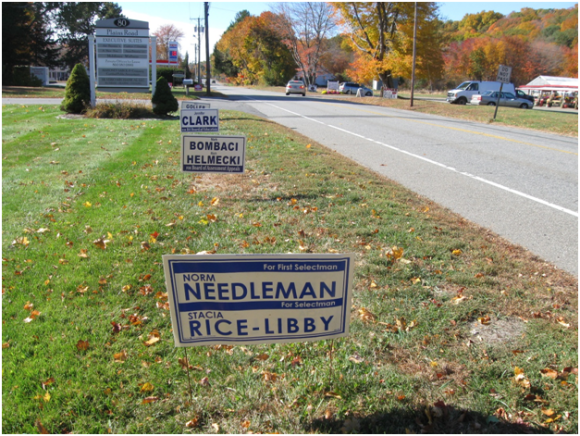 Lt Governor Nancy Wyman and Attorney General George Jepsen stopped by a local event to support Chester First Selectman Candidate Lauren Gister and Selectman Candidate Charlene Janecek. They emphasized how important the local race is and praised Lauren and Charlene on the dedication, knowledge and experience they have to run the Town of Chester. 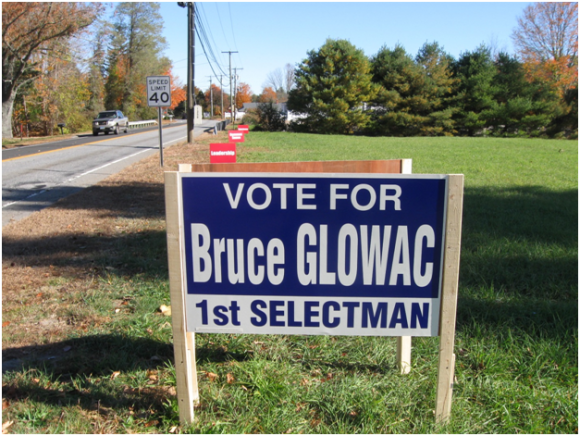 Selectman Larry Sypher; former First Selectman of Old Saybrook Roger Goodnow; P&Z candidate Jacqueline Stack; Library Board Candidate Karin Badger; Lieutenant Governor Nancy Wyman; Chairman of the Board of Finance Virginia Carmany (behind); Selectman Candidate Charlene Janecek; Attorney General George Jepson; First Selectman candidate Lauren Gister; State Representative Phil Miller and First Selectman Ed Meehan.